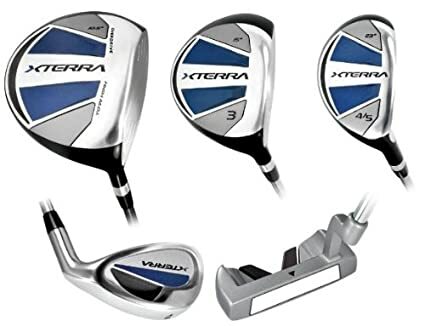 It is fair to say you’d need an unlimited and never-ending budget to buy every golf accessory available today, whether made by Nike, Callaway, Eze Glide, Sun Mountain or Adidas to name a few famous brands! Along with clothing and clubs, you can choose to buy all manner of additional items, which may or may not improve your overall game. When it comes to the age old question of golf costs it is best to be forewarned! However, the following golf gear, accessories and equipment should be essential bits of kit for any player. While some might be fairly obvious, others may not have previously crossed your mind. First and foremost, you’ll need a durable and roomy bag to put all of your equipment and accessories in. Choosing between pencil bags, stand bags and cart bags will depend on your preferred method of transportation, but a range of colours and designs are always available. It is highly recommended that you choose a recognised and reputable brand. For example, Nike Golf bags and Sun Mountain Golf bags are extremely practical, produced to a very high standard, will stand the test of time and look great out on the course to boot! To help carry your Golf bag around you will need a sturdy Golf Trolley! Our current favourites in terms of sturdiness and value come from the likes of Eze Glide Golf Trolleys and Sun Mountain Golf trolleys, both are fast up and coming Golfing brands to watch. In order to give you a solid grip on your club in all weather conditions, a pair of golf gloves is required. Along with protecting your non-dominant hand, golf gloves can also reduce friction, prevent painful blisters and increase overall control. Gloves should fit tightly, but not be uncomfortable. If they’re too loose, your grip could slip at the crucial moment. Not only do club headcovers protect your precious drivers and irons from getting scratched or damaged, they also help preserve performance. Club headcovers come in a wide variety of different styles and designs, but you’ll need to decide whether you’re more concerned by convenience, protection or quirkiness. Some can be pulled off easily, others are attached with magnets and it isn’t unusual to see club headcovers in the shape of cartoon characters either. It is remarkable how something so simple can make such a big difference. If you don’t have a towel with you on the course, your game could suffer and your equipment may not last as long. Therefore, purchase a towel to clean your clubs after each shot. You should also wipe down the ball once it reaches the green, as dirt and debris add extra weight, making it more difficult to sink a putt. It makes perfect sense to invest in a number of tees, as you’ll be using one for every hole. However, some tees are said to decrease friction and improve club speed while others are made from recycled plastic for the environmentally conscious golfer. 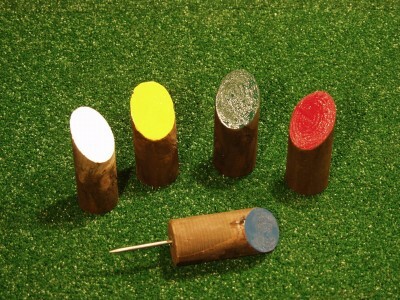 When it comes to ball markers, you should probably buy these in bulk too. But whatever you do, avoid using a tee as this can obstruct another player’s ball and may be considered impolite. It is important that you look after your eyes whilst out on the Golf course as you will need to accurately site each individual stroke before you play it. Therefore you should consider sunglasses, particularly on sunny days, when they will cut down the haze and glare for you helping your Golf stroke accuracy. We particularly like the new sunglass ranges from Oakley, Bolle and Sunwise but, as ever, the fashion choice is up to you! And finally, last but not least, we should mention Golf Clubs, Golf Drivers and Golf Irons! There are of course a multitude of products out there, but our favourites include both Nike and Callaway Golf clubs and drivers. With a rich history of success, both brands offer an unrivaled performance and a track record of success to avid Golfers! You ought to protect your Golf Clubs with a matching Nike or Callaway Golf bag too. The fabulous Royal and Awesome Funky Golf Clothing will add a truly regal touch to your Golfing and why not really show off with high tech aids such as the latest cutting edge SKLZ Golf training aids and their state of the art Golf swing analysers. Get Swinging Out on the Course! In addition to these items, you may think about purchasing other useful accessories and equipment such as umbrellas, ball pick-ups, golf course range finders and scorecard holders. But for the time being at least, this list of gear is surely all you will really need to get started this season out on the greens. To help with your purchase decisions check out the likes of Golf Clothing Direct where we are sure that you will find there is truly something for everyone! When it comes to Golf Clubs and Drivers, direct Golf clothing, Golf accessories, Golf bags and the Golf trolleys to pull them around in there is no better place to look! It is easy to compare all of the products available by looking online in the first instance and cross-referencing all that is available between sites.